Due to the surprising success of my initial Movies Project, I decided to do a part two for 2012. This time around I put a greater emphasis on directors I am not familiar with, but I also tried to compile a mix of different genres and eras. This will be an ongoing project with the finish date being sometime this year. Revenge is a tried-and-true plot device in film, but rarely is this concept taken to the depths provided in Park Chan-wook’s Vengeance Trilogy. 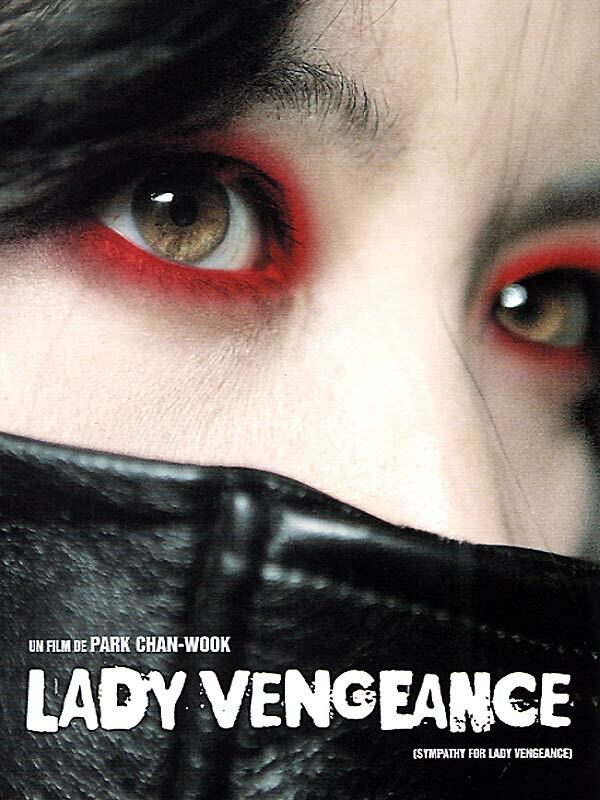 After two punishing yet brilliant films in Sympathy for Mr. Vengeance and Oldboy, Park closed out the trilogy with arguably his most stylish film yet: Lady Vengeance. Lee Young Ae stars as Lee Geum-ja, a reformed female prisoner who was convicted for a crime she did not actually commit: the murder of a young boy. After years of good behavior and a total change in her spirituality, she is released earlier than expected. While others pester her as soon as he gets out, Geum-ja has just one thing on her mind: revenge. Her target is Mr. Baek (Choi Min-sik, a.k.a Oh Dae-su from Oldboy), the actual murderer of the young child. On her quest for vengeance, Geum-ja also reunites with her teenage daughter, Jenny (Yea-young Kwon), who was threatened by Baek during the initial killing. The transition from prison to the real world is jarring, but Geum-ja is on a mission and there’s no way anything is going to stop her in her mind. Lady Vengeance moves at a more methodical pace than its predecessors in the trilogy, and it takes some time to pick up on just what is happening. The first act of the film flips back and forth between the present and Geum-ja’s days in prison, and it becomes a tad confusing at times. However, the second act represents a major tonal shift, and the big revenge payoff is dramatic, bloody and unforgettable. As the most stylish film of the three, Lady Vengeance impresses visually. There are some truly stunning shots, many of which make fantastic use of color. Perhaps this is why the film takes its time in telling the story — so we can enjoy its sheer beauty. It’s difficult to fully satisfy when forced to live up to the legacy provided by the amazing first two films of the trilogy, and perhaps Lady Vengeance suffers from these comparisons. I quite enjoyed the film overall, but it is clearly the weakest of the three. Regardless, it can be stated that Park Chan-wook knows how to go out with style, as the closing shot is one I will not be forgetting. Looks like a solid action flick. Sometimes the foreign film market for these movies just nail it. I am definitely interested in the series now. It’s not really an action flick — it’s more of a drama than anything — but it’s certainly worth seeing. The first two films are superior, but this is a strong series overall. Nice one Eric. I loved Oldboy but haven’t yet got around to seeing the other two. I must try and get hold of them. It’s not often you head anyone mentioning them, yet Oldboy is forever being talked about. Yeah, it’s a shame that everyone talks about Oldboy but forgets the other two in the series. For what it’s worth, I think Sympathy for Mr. Vengeance is the best of the bunch. Definitely look that one up when you get a chance. My favorite film out of the Vengeance Trilogy! Young-ae Lee is one of my favorite Korean actresses, have been watching some of her stuff since the show she was on called “Jewel In The Palace”. Nice! She certainly did an amazing job in this film. I’ll have to keep an eye out for more of her work. That’s funny. It’s been awhile since I’ve seen the trilogy, but I thought it was the strongest of the three. The others were good stories- great, even- with some artistic flourishes, but I felt like this one took it to another level. Sounds like another good reason to this John. Cheers! Yeah, when reading about the trilogy, it seemed that everyone had a different favorite than the last person. 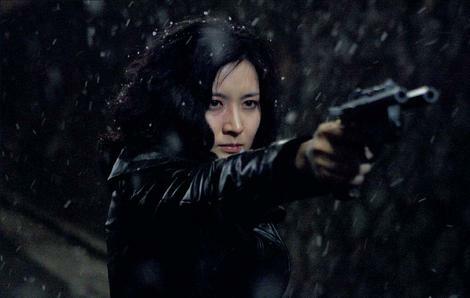 Oldboy is the popular choice, of course, but I know a lot of people loved Lady Vengeance, too. You can’t really go wrong with any of them. Pretty solid flick but the narrative moves a bit too slowly in this one. Have yet to check out Mr. Vengeance. Yeah that’s a good summary, Castor. Mr. Vengeance is my personal favorite, though it has been years since I last saw Oldboy. Yeah, that scene is unforgettable. You don’t really see something of that magnitude in revenge films very often. I really liked this movie, though it wasn’t great, but I agree the use of color was amazing, gorgeous cinematography in this one. Right on, Sati. This was a beautiful but devastating film. Park Chan-wook seems obsessed with vengeance movies. But this one sounds very interesting, I might give it a try. This is the least violent of the trilogy, so it’s probably the easiest to watch. I prefer the other two, though. I bet even his least violent movie is still too much for me, ahah. Thanks Tyson! Glad to hear you’re a fan of this trilogy as well. Interesting that this is the weakest of the three for you – it is by far my favorite. I just love the build up and how EVERYONE is in on it, and for so many goddamn years. You excited, nervous for Spike Lee’s Oldboy? I loved the payoff in this film, but I just wish it didn’t take so long to get there. Still, I quite enjoyed it overall, just not as much as the other two. Right now I’m pretty apathetic about the Oldboy remake. Great cast, but it’s just so…unnecessary. I don’t know, could be good. What do you think? I completely agree with you about the remake. It is so far outside of anything we’ve seen Lee do, so I think it’ll kill, or fail miserably. Ha, yeah there really isn’t any middle ground here. Hoping for the best!